New to the Section? Been away from the conference for a while? Get to know fellow RBMS members over a lunch meet up. Join members from our Executive Board, committees, and other active RBMS members for an informal lunch. We’ll chat about our experiences with the Section and explore ways that you can become more involved in the community. New members will be grouped with a more seasoned member and head off to a local food court for lunch and conversation. Sign up at the registration desk by 11:00 a.m. on Wednesday. Join your colleagues for happy hour held at the beautiful Oakland Museum of California (OMCA). 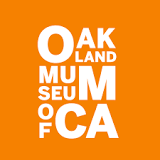 OMCA is an interdisciplinary museum dedicated to the art, history, and natural science of California. It’s a short 7 block walk or cab ride away from the hotel and features seminal art works, historical artifacts, ethnographic objects, natural specimens, and photographs that reveal the factors that shape California character and identity, from its extraordinary natural landscapes, to successive waves of migration, to its unique culture of creativity and innovation. Restaurant Night is an RBMS tradition. Small groups of conference participants can get to know one another while visiting some of Oakland and Berkeley’s best restaurants. Everyone will be responsible for the cost of his or her own meal, and there will be several restaurants with a range of prices to choose from. Sign-up sheets will be available at the Registration desk onsite on a first-come, first-served basis until Wednesday at 4:00 p.m.